Small business owners who are taking advantage of the social networking marketing revolution are taking market share in today’s struggling economy. 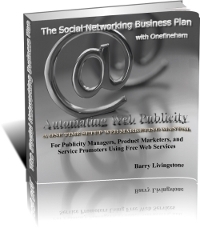 That is why small business supporter Barry Livingstone wrote The Social Networking Business Plan with Onefineham. According to the 47 page PDF it is possible to setup an automated social media marketing strategy using all free resources in about a day. According to a 2010 study by Gillian Heltai of comScore and Greg Stewart of 15 Miles 70% of people lookup a company online first – making an online presence a must in today’s competitive environment. Says Livingstone, “I see my small business owner friends struggling to keep their businesses afloat week after week. 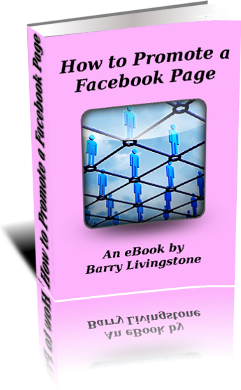 I couldn’t take it anymore so I had to write this book to help them understand how to ‘get social’ for lack of a better word.” Published originally in August 2009, the book has gone through a couple of iterations as the social media landscape has changed. “Nothing stands still on the internet,” says Livingstone. The strategy of the book is designed around de-mystifying the major social networking sites and technology. It looks at the major industry players and illustrates screen by screen where to go to setup accounts and then how to link them all together in a coherent marketing strategy. By the end of the book small business owners not only have presence on the social media scene but also a way to put out a consistent stream of publicity out through those networks.